Sa Pa is a small town in the Hoàng Liên Son Mountains of Northwestern Vietnam. 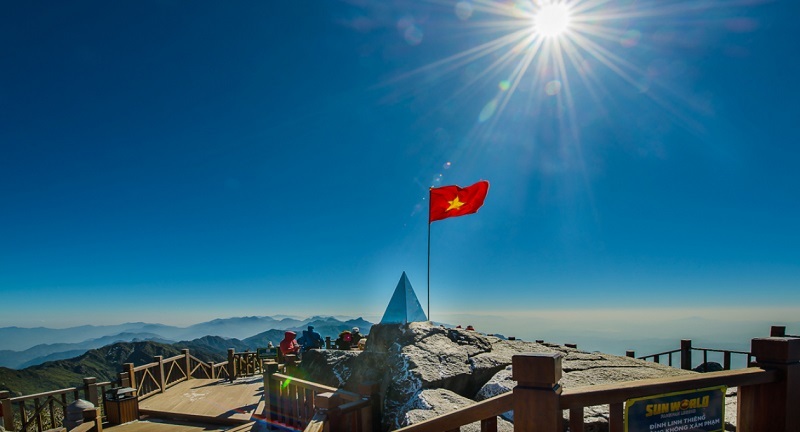 A popular trekking base, it overlooks the terraced rice fields of the Muong Hoa Valley, and is near the 3,143m-tall Fansipan peak, which is climbable via a steep, multiday guided walk. Fansipan is the highest mountain in Indochina. It is a part of the Hoàng Liên Sơn Mountain Range in the Northwest region of Vietnam. Access to the summit often starts in Sa Pa, the famous tourist hub of Lào Cai. Traditionally, a hike to the summit of Fansipan would take about three days. The introduction of the cable car in 2016 reduced this to only 20 minutes but visitors still had to climb 600 steps to the top. 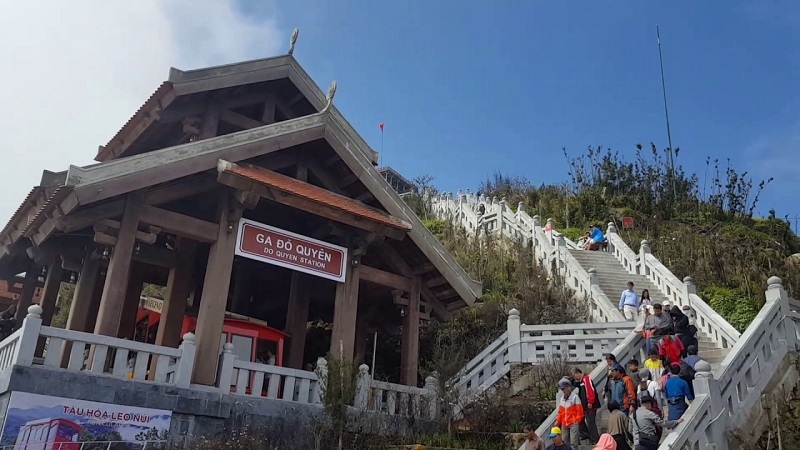 Since 24 December 2016, instead of climbing, they can choose to take a funicular to the peak of Fansipan. 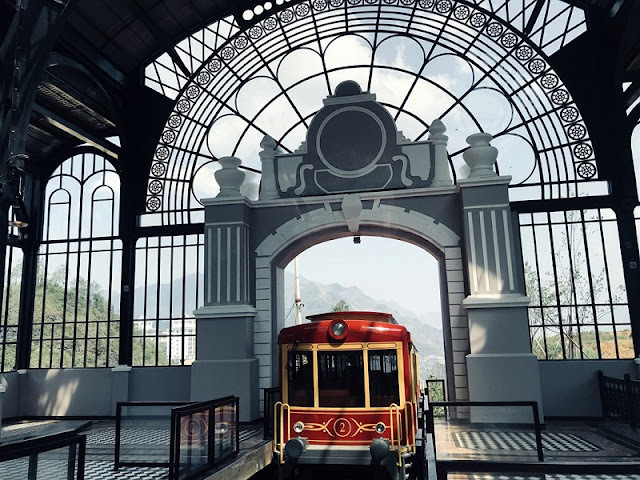 This funicular departs from a station located a short walk away from the cable car station. The ride will only take 2.5 minutes and evidently save a lot of physical effort. On 31 March 2018, a second funicular rail system was put into service at Fansipan. This system connects the central area of Sa Pa to the cable car station, finally eliminating the need to take a taxi. Conquering Fansipan is now really child’s play! Being rail enthusiasts, we were eager to try the Fansipan funicular rail systems, so in early April 2018, we made a trip to Sa Pa just to do this. We were among the first passengers to experience the second, newly built funicular. Having used the funicular in Wellington (New Zealand), we have to say the Fansipan systems are just as impressive, if not more so. Combined with the cable car, they are indeed a cool way to see and feel Fansipan.